On behalf of the Conference Committee, we invite you to submit an expression of interest to present at the the Collaborative Conference on Computational and Data Intensive Science, 2019 (C3DIS 2019). Accepted presenters will be required to register for the conference, pay the appropriate registration fee and meet their own travel and accommodation costs. If you have any questions in relation to the event or submitting a presentation, please contact our conference secretariat – Conference Design at mail@conferencedesign.com.au. We look forward to receiving your expression of interest and the possibility of seeing you in Canberra. To submit a presentation you will be asked to enter your email address and create a password. Once you have created an account you can submit abstracts. You can log back in to submit more abstracts and register for the conference. Please contact Conference Design if you require assistance submitting your abstract. in producing their science and research outcomes. Topics of interest include the following. Note you will be asked to nominate a topic most suitable to your presentation when submitting your expression of interest via the on-line portal. Please click on the items below for further detail. Who Owns Your Research Data? While you will be asked to indicate your preferred presentation format, the conference committee may request an alternative format be considered. The committee will allocate presentations to the program taking into account the preference of authors and the balance of the program. We anticipate that authors will be the principal presenter for at most one presentation, but may be the principal presenter for more than one display poster. It is expected workshops will be interactive sessions with defined learning outcomes. Authors interested in delivering a workshop should submit a 250 word overview of the suggested session via the on-line portal in the first instance. When submitting a workshop online, you are only required to enter the name and biography of the lead author and/or facilitator. Upon review of the expression of interest, the committee may request more information about the workshop. Once accepted into the program, workshop hosts will be required to provide a full workshop overview to the committee for inclusion in the online program. The overview should include all content being delivered during the workshop and all presenter names and affiliations. It is expected this information be provided to the committee at least one month prior to the conference. If you are expressing interest in hosting a pre-conference workshop, please note the conference charges delegates a registration fee per workshop that is not included in the conference registration fee. This is necessary in order to cover catering, venue, and organisation costs for the workshops. Please see the registration page for the fee schedule. If you would prefer your delegates to pay a reduced cost to attend your workshop you are very welcome to subsidise their attendance; this can be arranged with the conference organisers. Oral presentations may be original research, case presentations, large scale projects or analytical studies. Where possible, presentations with a similar theme will be grouped together. It is anticipated oral presentations will be allocated 15 minutes for presentation, including 3 minutes for question time, however the conference committee may like to offer some authors more or less time based on presentation content and interest in the subject matter. Presentation length will be confirmed to authors upon acceptance of their submission. An A0 portrait size poster that will be displayed for the duration of the Conference. The abstract and a PDF of each accepted poster will be included in the conference app for delegates to view on their smart devices. Presenters will also be asked to attend their poster during a poster viewing session to discuss the poster with other delegates. Full guidelines for poster submissions can be found be clicking here. Dedicated space will be available at C3DIS for interactive displays, such as electronic posters, VR exhibits, demonstrations etc. It is anticipated screens on stands and/or projectors will be available to interactive display presenters, along with power and a clothed trestle table. Presenters will be responsible for the provision of all other equipment needed for their interactive display. When submitting an abstract, authors should describe their interactive display and their display requirements. Authors’ names (indicate presenting author), affiliations, and biography (up to 150 words – presenting author only). Set out as Introduction, Methods, Results and Conclusion format. Leave one line between paragraphs. Specify all abbreviations in full at the first mention, followed by the abbreviation in parentheses, thereafter abbreviation only should be used. If easier users can copy and paste an abstract and biography from a word processing doc directly into the submission portal. Check abstract thoroughly for spelling and grammar. Please complete all author details requested in the on-line portal. Note the submitting author will be considered the principle point of contact for all communication regarding the abstract including acceptance notification. The Conference Committee & Stream Chairs will review all submissions. As there are limited places for oral presentations some Expressions of Interest submitted for oral presentation may be offered posters. Authors in these cases will be advised and asked to confirm whether they wish to present a poster. Please proceed to the Speaker’s Preparation room at least 4 hours prior to or the day before your presentation. A technician will be available in the speaker’s preparation room to load your presentation and to discuss any audiovisual queries you may have. If you are not providing slides for your presentation, please advise the AV technician in the Speaker’s Preparation room 4 hours prior to your session. Each session room will be equipped for the presentation of PowerPoint slides and include a data projector, computer with external speakers, lectern and microphone. 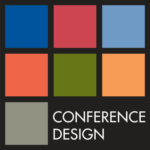 Please provide any specific audiovisual requirements to the Conference Secretariat at mail@conferencedesign.com.au. An Audio Visual technician will be located in your room throughout the course of your presentation and will provide assistance in the unlikely instance an issue occurs. Please ensure you take the time to familiarise yourself with the technology prior to your presentation. Presenters should bring their Power Point slides to the conference on a memory stick, where an audiovisual technician will load your presentation. Video and audio clips should be embedded in your Power Point slides rather than linking to external files. All slides will be run from a central presentation computer. However, if you have a complex presentation, which includes multiple media files, we suggest you bring your own laptop as a backup in case of difficulties loading your presentation. The conference will seek your consent to post your presentation slides to the conference website following the event. Consent forms will be available in the Speakers Preparation room and need to be signed prior to your presentation.